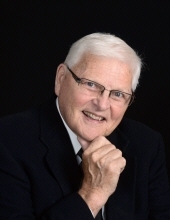 Russell James Bringe, age 76, of Holmen, Wisconsin, passed away Monday, February 4, 2019, at his daughter’s home near Holmen. He was born August 7, 1942, to Alfred and Margaret (Breiwick) Bringe in Browns Valley, La Crosse County, Wisconsin. He lived a full life never shying away from a chance for learning, sharing and living life to the fullest. Russ was a proud graduate from Holmen High School in 1960. While there, he was part of the first undefeated football team in the school’s history. A treasured memory is the recognition of that team in the Homecoming parade where his grandchildren were able to attend. Afterwards, he attended the University of Wisconsin earning a Bachelor of Science degree in Agriculture. Russ was a member of the Babcock House at UW where he developed life-long friendships. He was united in marriage to Carol Stelloh in 1963. Together, Russ and Carol took over the family farm from his father Alfred and raised their family. From 18 months on, he cherished the land and responsibility of having the family farm in Sweden Coulee. Through his work on the family homestead, Russ and Carol were named “Outstanding Dairy Couple of Mid-America” by Dairyman Inc. in 1972. From there, Russ was the General Manager and one of the founding members of the Tri-State Milk Cooperative where he worked to bring component cheese yield pricing to the milk and cheese industry. He was also recognized by the Farm Bureau as the “Outstanding Dairyman of the YEAR” at the June Dairy Day Breakfast. As a man strong in both his faith and imparting that faith with his family, he was a life-long member of the Halfway Creek Church and was instrumental in creating the outdoor worship area. One precious tradition he shared with his family as a member was the annual candlelight worship on Christmas Eve, every year. Russ was extremely proud of his Norwegian heritage and loved to share stories of the Bringe family history. At the age of 75, he was able to share a “Homecoming” trip to Norway with his children James, David and Susan. His desire to touch his roots resulted in 10 days of glory where they met family members, saw the Norwegian family homestead and shared in the food and hospitality that he had emulated during his life. On that trip, he had the chance to experience the Sognefjord, the Dale Kyrkje Church, the Nidaros Cathedral in Trondheim where his ancestors were baptized, and the original Norwegian Bringe farm in Luster. He even got to experience Bringebear Jam and fjord fishing with his children. After traveling to Norway, Russ pursued his passion for capturing memories through painting. He painted the “Hjemkomst” series of churches that bore the family genes for 1200 years in addition to treasured family memories and places that meant the most to him during his life. As the years passed, he expanded business opportunities from selling real estate and developing several housing developments in surrounding areas including Black River Falls, Sparta and Holmen. He also supported business endeavors in antiques and art. He and his brother Erv were contributors to the Farmer Store in West Salem, Hixton Antique Mall, and Wise Owl Online Auctions. Russ was a true adventurer who loved to travel with family and friends to all areas of us to explore new areas. This included doing business in Africa where he traveled to the country of Nigeria seven times with the USA Africa Trading Inc. He loved to drive and experience a proper road trip, visiting unplanned and fascinating discoveries with his “Road Warrior” friends. He was a lover of the outdoors including trout fishing. Not only did he enjoy the thrill of a fishing outing, he truly valued sharing his knowledge and passion by spending time with the people he loved. The anticipation of the ‘rising trout’ and the excitement of hooking monster fish like muskies was something he loved to experience and share with others. Not only was he a consummate outdoorsman, Russ was also a lover of cooking and baking– especially Scandinavian reminders of mother’s recipes. Each year his family rejoiced in cooking and sharing dishes such as lefse, meatballs, oyster stew and a Norwegian almond cake. Russ was especially blessed to share his life with life-long friends. Through these friendships, he shared laughs, love and the experiences of his life. He is survived by his wife, Carol, his children, David (Kim) Bringe, James (Kendra) Bringe and Susan (David) Chase, seven grandchildren, Lauren, Jack, Erin, Owen and Audrey Bringe, Violet Chase and Alexa Lautenschlager, a brother, Erwin Bringe and sister-in-law, Joyce Bringe. He is further survived by nieces, nephews, other relatives and friends. He was preceded in death by his parents, Alfred and Margaret, and brother, Allan Bringe. Family and friends are invited for visitation Saturday, February 9, 2019, from 10:00 a.m. until the time of 1:00 p.m. service at Halfway Creek Lutheran Church, W6016 County Rd W, Holmen, WI, 54636. Sister Becky Swanson will officiate. Burial will be held at a later date at the Halfway Creek Lutheran Church Cemetery. The Torkelson Funeral Home is assisting the family with arrangements. Online condolences are available at www.torkelsonfuneralhome.com. "Email Address" would like to share the life celebration of Russell James Bringe. Click on the "link" to go to share a favorite memory or leave a condolence message for the family.